A famous Hungarian pianist Kemenes Andras, a Piano professor at Liszt Academy, and a Korean pianist Victoria Park, chairwoman of Park Arts Management, preformed a classic music - Piano Duet Concert at Ilshin Foundation in Seoul on May 18, 2012. Including a Hungarian Ambassador and other diplomats, businessmen and all works of life are attended in the concert. Victoria Park, Korean name Eun Kyung Park, was born in Seoul and began her piano studies at the age of 6. Park is trained and presented several piano concerts in abroad, mostly in Hungary. She studied Music Education at the Kodaly Pedagogical Institute of Music and Orchestral Conducting at the Bartok Seminars from 1996 to 2002. And she studied at Ecole Normale de Musique de Paris with Professor Germain Mounier from 1996 to 1997. She also did a professional studying a graduate program from Liszt Academy of Music, and Diploma (Advanced Course) from Kodaly Pedagogical Institute of Music in Hungary. Moreover, she did master classes in US and Norway. In Korea, she studied BA and MA in Piano Performance from Ewha Women's University. Her professors were Andras Kemenes, Ferenc Rados, Kornel Zempleni, Balazs Kecskes, Eszto Zsusza, Peter Solymos, Germain Mounier, Gabriel Kwok, and other are Koreans. She has several international performances since 1987 till today, in big cities such as Seoul, Budapest, Martonvasar, Vienna, Stavanger and Athens. Now she is a pianist and teacher. She has been teaching for many universities, in 2011, she taught at Sunhwa Arts School, in 2010, she taught at Seoul Art College, in 2005/08, she taught at Chugye Arts University & Soong Eui Women's College in Seoul, and in 1999/02, she taught at Ewha Women's University. In 2010, Park established a non-profit organization, called Park Arts Management, which focuses on inviting prominent artists from abroad, organizing master classes in Seoul, as well as "Rising Stars" concerts for talented young Korean artists. South Korea’s Children Day Festival was rally celebrated in Uiwang, Gyeonggi Province from May 5 to 6. With the invitation of Africa Asia Destitute Relief Foundation (ADRF), a South Korean based NGO, a group of Myanmar ethnics are presented their tradition dances in the festival, which included Karen Done, Burmese tradition Yaine and U Shwe Yo dances. Most of the Korean audience are not much have knowledge about Myanmar country, which is under military dictatorship for decades and led to one of the most impoverish nation in the world. However, people in the festival realize the value of Myanmar precious culture and enjoys their tradition dances performance. 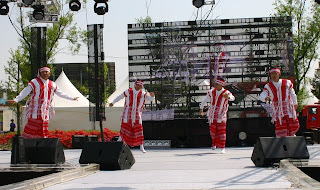 Along with Myanmar tradition dances, some African dances and Korean singers are participated in the two days event. Apart from ADRF, many NGOs and Korean community group display various items in the festival at their respective booths. The programs are such as Face Painting, Tattoos, box art, jeontongjang (red pepper paste, soybean paste), creating and traditions, cultural experiences (farm equipment experience, masked learning, traditional musical instruments photo zone), pinwheel, balloon art, origami, making natural cosmetics and lifestyle craft, yeonman lifting, Magic Fish Experience, Yo-Yo, bows, napkins, crafts, bath salts, Horseback martial arts performances and other information, the world game, African Famine, refugee experience, and etc. Children's Day is celebrated on various days in many places around the world, according to their own country context. In South Korea, May 5 is officially recognized as Children's Day. Parents often give presents to their children, as well as spend time with them. The children are taken on excursions to zoos, museums, and various venues of children-oriented entertainment. When we look back Korean history, from Jinju, many people gathered to promote and to improve the social status of children and encourage adults to teach awareness. The children's welfare law written on the constitution officially registered May 5 as Children's Day in 1961 in South Korea. In International level, the United Nations recommended a Universal Children's Day on November 20. Thingyan festival, also known as Burmese New Year Water Festival, falls from 13 to 16 April, 2012, was celebrated across the country. Originally, a Buddhist festival celebrated over a period of four to five days culminating in the New Year. Formerly the dates of the Thingyan festival are calculated according to the traditional Burma lunisolar calendar and but now have fixed Roman calendar (from 13 to 16 April). Decades of military rule, and the impoverish Buddhist country was over exposed its Water Festival into a moral criticism, after military backed government promises and opens the country into a quasi-liberal democracy to outside world. Immature Burmese democracy might a question for moral issue by looking at the Burmese Water Festival, where young people were out of control in the public, according to the photos from myanmarlife.com, still liberal political system is not yet properly introduced. Burmese people should not forget the main objective to change political system and introduce toward liberal democracy and a prosperous nation first. Aung San Su Kyi, who recently won large margin in the by-election for a few seats in early this month, has no power and in-the-line of waiting for government post from current military backed government, is uncertainty for future leadership. In the meantime, military backed government is escalating war with Kachin ethnic group in northern part of the country. For them, New Year Water Festival is meaningless. The similar festival is celebrated in its neighboring countries, especially in Theravada Buddhist areas of Southeast Asia such as Lao New Year, Cambodian New Year and Songkran in Thailand. Water Festival is only suitable for this tropical climate when summer is started. 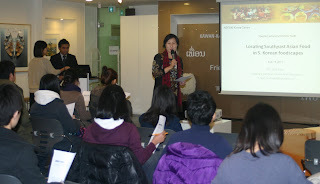 The special lecture on Asian Films was held on 17th February 2012, Friday, at the ASEAN-Korea Centre, Seoul. This program was led by Professor PARK Tae Sik where he analyzed and explored and appreciated to Asian Films particularly, ASEAN and Korea. He distinguished the way of Asian perception and their feeling through studying on movies. He explained many good things from Asian culture. For example, western culture they are kissing everywhere even in eating time, in Korea in the past 30 years there was no way of kissing in the public, but nowadays it is common even young people are kissing on subway station, he lamented. He appreciated western technology and freedom but he condemned bad western culture. An Anglican church Revered Professor PARK Tae Sik, who is a Film critic from Sungkonghoe University and a member of the Korean Association of Film critics. Professor PARK will keep studying and critic on Asian film. He encourages young people to guide Asian film through a good Asian culture. 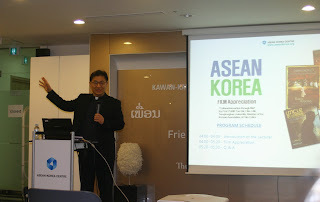 A special lecture on “Locating Southeast Asia Food in South Korean foodscapes” was held in ASEAN-Korea center in Seoul by Prof. Dr. Eje Kim on Jan. 13, 2012. According to Prof. Kim’s presentation, culinary styles have moved faster than the immigration streams. Moreover, she said the important of authenticity where tourist can revisit ethnic restaurants. Culinary tourists can explore the exotic without leaving their own neighbourhood. At the lecture, she emphasize about Thai Cuisine as becoming globalized cuisine. Thai tourism department is highly organized for promoting Thai cuisine across the world. It is found that essential ingredients are flown in fresh to each individual restaurant weekly to abroad. Moreover, Thai food and Thai cooking reflect the wisdom and culture of the Thai nation, because of the strategic location, making it an essential link in international trade. Today, Thai food and Thai cuisine stand ready to make Thailand a proud kitchen of the world, she mentioned. The uniqueness of Thai restaurants is they used authentic Thai and Thai staff cook. They try to create a sense of authenticity by using native artwork decorations, wall patterns and uniforms of staff. However, Prof. Kim criticized, for example, that Thai restaurants in London are clamming authenticity on one hand, but adapting to the British standards of culinary acceptability. So, Prof. Kim pointed out as fate foods and itinerary, and not authentic. Also, she condemned putting women photo at the shop. Most of Thai restaurants are targeted in Europe, North America, and Middle East. But, In Korea, Thai restaurant are not much popular like those places. 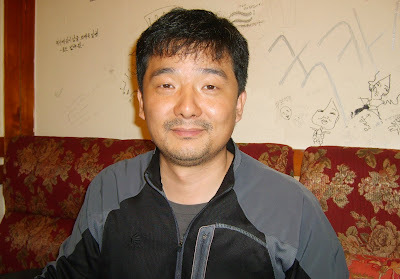 Prof. Eje Kim is a professor of Cultural Geography at GI National University of Education. She graduated her PhD from Seoul National University. The Global Digest interviewed Mr. Lee Kang Un (president) and Mr. Charlie (Vice president) about their Hair Salon’s program for the upcoming year 2012. 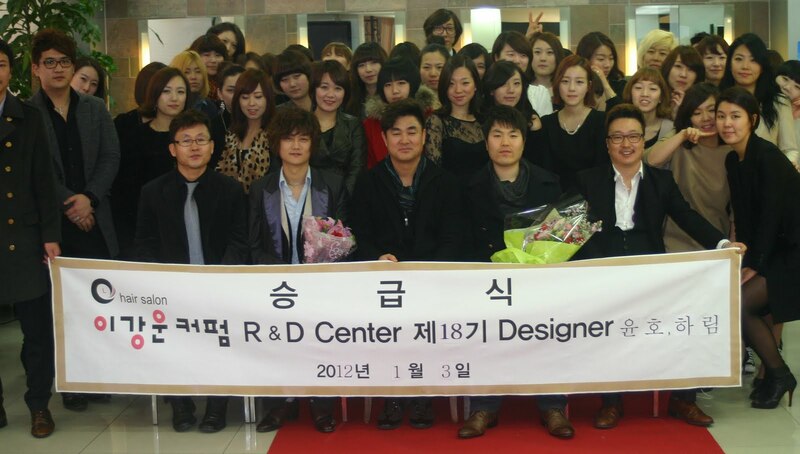 For 2012 Mr. Lee said the Lee Kang Un Hair Salon’s R&D centre has a special launch planned to highlight stylish hair designs like the ‘bob’ and ‘disconnection’ styles. Currently, Mr. Lee advised, having more weight is very popular in hair styles but the salon also provides services for lighter, medium and mixed hair styles. Mr. Lee explained that the most popular hair colourings in South Korea are red, blond and light brown. Lee Kang Un Hair Salon staff members often go abroad for training to improve skill and expertise and also do promotional hair shows. Mr. Lee said this coming year they will go to places such as Japan and Australia. The training will focus on natural colouring, bright and very bright colouring. In this upcoming year more seminars and training are planned, including courses on customer satisfaction and education for their staff members. Mr. Lee enthusiastically announced that more promotional hair shows will also be launched. This year they also plan to open 2 to 5 more Salon Lee Kang Un Hair Salon shops within the domestic South Korean market. Most of them will be in Seoul but Lee also has a plan to launch in Busan and other provinces of the country. Mr. Lee is very ambitious; within 10 years they will try to promote the Lee Kang Un Hair Salon abroad. Mr. Lee revealed that a survey for opening Lee Kang Un Hair Salon shop in London was conducted to test for interest. At the end of interview, Mr. Lee said that after customers drop-by one of the salons they were immediately transformed into as a shinning person. He enthusiastically claimed that all of their customers were highly satisfied and fulfilled by their Lee Kang Un Hair Salon experiences. Mr. Lee and Mr Charlie warmly welcome all customers at Lee Kang Un Hair Salon. They even provide special services for foreign customers to avoid language barriers, Mr. Charlie added. On Jan. 3, 2012, All the staff members of Lee Kang Un Hair Salon came to make a new year resolution at it’s headquarter in Donam at 8 am. They pledged to achieve their goals and to cooperate and encourage each other to do a better job in this new year. After the pledge, the president Lee Kang Un presented awards to the best recorded persons and the best performers, designers, marketers and so on. In addition, he made an encouraging speech to the staff members, advising them to get confidence and solidarity from each other, and to show a positive attitude. Finally he hoped that they would all have a healthy, peaceful and harmonious new year. He wished all of them a happy new year, and prayed for God to bless them. The latest designs and styles done with patience and the accompanying full range of hair salon services are now available for beautiful, professional ladies at the Lee Kang Un Cuperm hair salon in Seoul. The tile of hair salon, Lee Kang Un Cuperm, is also the name of Mr. Lee Kang Un, who is CEO and president of the company, said Mr. Charlie. The company was started in 1997. The Salon services are hair cutting, drying, color treatment, nutriment treatment and various others. There are hair styles such as straight, angel’s touch, edgy and trendy styles, and actually, there is no limit to the number of hair styles available because they are developing new styles all the time. The hair salon services provided are entirely suitable for both men and women. Scalp treatment is also available. The scalp treatment keeps hair healthy and growing properly, said Mr. Charlie. The Salon Company is unique in two ways; all their employees are young, between 20 and 30, and secondly they overcome communication barriers for the convenience of foreign customers. During the interview, Mr. Charlie explained that the salon has been successful in satisfying the needs of customers ranging from young, female professionals to older women. The Lee Kang Un Cuperm Hair Salon Company has around 50 highly experienced employees with an average of 10 years experience and a variety of special skills. Additionally they learn to speak English in a language class twice a month and a workshop. This workshop training enables young professionals to create their own style and idea. During an interview Mr. Charlie was pointing to a young professional, Jang Ok Bi, “she has a special style and is very popular”, he said. Their employee can at least speak English at an intermediate level. 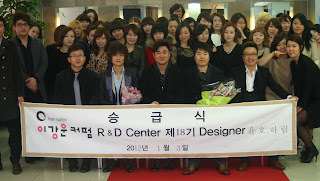 Moreover, Lee Kang Un Cuperm Hair Salon has an R&D department. No other Salon in Korea has this kind of department. Usually many Salons only have a beauty academy, Mr. Charlie pointed out. This R&D department is doing research on and offline, developing distinctive strategies and creating new styles to fulfill domestic and international customer’s interests. There are a total of five Lee Kang Un Cuperm Hair Salons operating across Seoul’s northern area, nearby the Han River. Due to the popularity of the salon approximately 1000 customers are attended to everyday, among them are approximately 100 foreign customers. 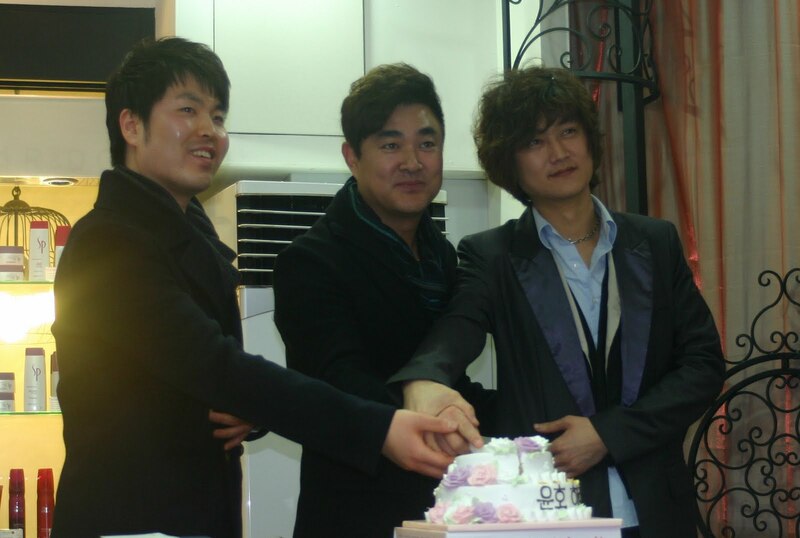 Therefore, Lee Kang Un Cuperm Company has a plan to launch 100 Salon shops across Korea by 2020. Coming next year, they will launch the first overseas Lee Kang Un Cuperm Hair Salon in Mexico City, U.S.
At the Lee Kang Un Cuperm Hair Salons, you can get hair color treatment for just 8000 Won and nutriment treatment for 50,000 Won, and scalp treatment is 1000 Won. There are 3 steps for hair color treatment, high, medium and low. Mr. Charlie ran his own salon shop for the past 15 years. Last year he joined the Lee Kang Un Cuperm Hair Salon in-order to make the Lee Kang Un Cuperm Hair Salon a better and stronger business. He is vice president of Lee Kang Un Cuperm company and with his high degree of experience he serves the company's administration managing and in planning, marketing and personal resources. He has two children. Please drop by the Lee Kang Un Cuperm Hair Salon whenever you need your hair styled with unique and excellent skill by experienced professionals. We are ready to offer our best hair salon service to you, Mr. Charlie warmly advises. A special Korean wave concert for foreigners was held from Dec. 2 to 4, at the Pyeongchang Olympic Games stadium in Youngpyong, approximately travels 4 hours away from Seoul city. Korea Tourism Organization organized the event for tourist attraction and as part of promotion for the 2018 Pyeongchang Olympic Games which will be held right here in Youngpyong, South Korea. In the event, Korea Tourism Organization gave free concert tickets away to foreigners. The participants South Korean’s K-Pop groups were 2AM, U-Kiss, After School, Leader's, G.Na, B2ST, 4Minute, My Name, Kim Kyujong, Miss A, ZE:A, Sistar, Davichi and B1A4. 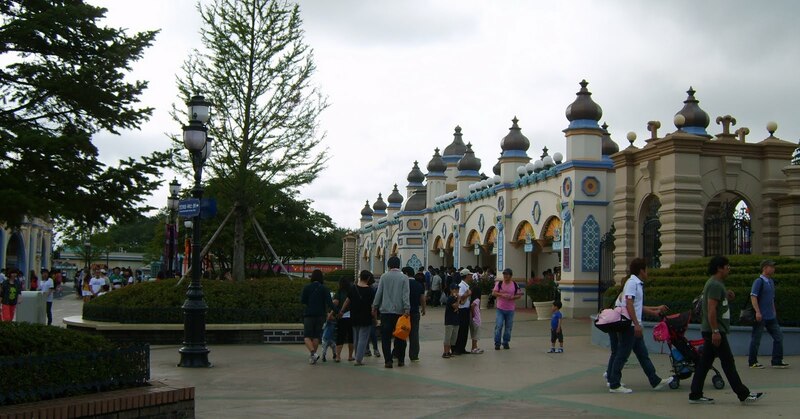 Youngpyong Resort is a popular site for tourist. Korea Tourism Organization is organizing next year event, EXPO 2012 YEOSU Korea, from May 12 to August 12. It will attract huge K-Pop fans again. The most popular Korean King, King Sejong is the fourth king of the Joseon dynasty whose reign was from 1418 to 1450. He had 32 sons and daughters, but lost 22 children. He had 12 queens, a Korean language Professor Kim Namhyung said. Korean kings used to have hundreds of women in their palaces who were there at the king’s pleasure. On the other hand, King Sejong was popular and hardworking; he woke up early in the morning at 4 a.m. and worked until 12 midnight, and worked a total of 320 days a year. It is believed that due to his hard work he suffered from various diseases and died at the early age of 54. His big contribution to the Korean nation is the Korean alphabet but he also invented various other things including tools for agriculture, science and technology, and expanded his territory. He conquered Jurchen tribes and possessed Tsushima and he established four forts and six posts on the northern border. Furthermore, many Korean musical traditions and musical instruments were developed during King Sejong reign. 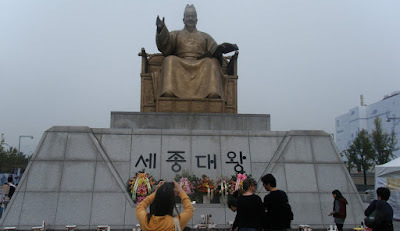 King Saejong loved studying and reading and he said to his countrymen that "ruling a country is showing trust." "Borderless Village" in Ansan's Wongok-dong area filled with more foreigners than usual during Chuseok hoidays of 2011. For foreigners it was a time of relaxing themselves away from their hard work during Chuseok (Full Moon Day) holidays which fell on Sept. 11-13, 2011 this year. The Korean version of American Thanksgiving Day is also called "Hangawi," which means harvest festival. During these holidays nation's majors highways are extremely clogged due to the heavy traffics heading to their hometowns. Most Koreans exchange gifts amongst family members and relatives. The traditional Korean holidays of Chuseok is becoming meaningful for foreigners as well. This year a variety of Chuseok festivals for celebrating Chuseok holidays were held in Wongok-dong in Ansan city, south of Seoul, a town of numerous migrant workers. Wongok-dong's town of foreigners is called "borderless village." Among the Chuseok events held in Wongok-dong's "Meeting Plaza" was "Chuseok Multi-Cultural Festival". A song contest was especially popular among the foreign participants who sang their songs in their own language. Others included picnic, such sports games as volley ball, ssirum of Korean wrestling, table tennis, and soccer, cooking and eating their own traditional food. To foreigners so far away from their own country, Chuseok holidays are best occasion of the year for them to relax and enjoy themselves in South Korea. "Chuseok holidays are a good time to reenergize and to refresh my body," said Asghar Khan, a Pakistani man in final semester for his Ph.D. in chemistry. "I can play basketball, listen to the music, and I met fellow country friends in Wongok-dong"
A female student from the Philippines is equally enthusiastic about the Chuseok festival. The 26-year-old Philippina, who only gave her first name "Remi," studies religion at Sahmyook University in Seoul. "I join with my friends from my own country and we ate Philippino foods, chicken steak and mixed vegetable," Remi said. "Also we had singing contest and basketball, volleyball, and ping-pong games." She went on to explain that Chuseok holidays are similar to "a harvest thanksgiving fiesta (festival)" in the Philippines. Cheseok holidays are a happy moment for a religious leader from Myanmar. Rev. Lian Kham, 54, in the process of seeking political asylum in Seoul, used to work as a Protestant pastor in Myanmar's Chin State. He had to come to Korea due to the oppression from the military government back in his country. "After a whole year of hard work having Chuseok holidays are a fabulous time to me and my fellow countrymen here in Korea," Rev. Kham said. A South African man in his mid-40s visited the festival site with his brothers and other family members. Prof. Lucian Charlic, who teaches English at Sejong University in Seoul, praised the merits of Chuseok holidays. "Chuseok holidays are very meaningful," Prof. Charlic said. "It is a time to reunite with family members and a time to show love and kindness among each other" "But nowadays many young Korean people spend their time shopping and visiting beauty parlors," he lamented. "Korea's young people should hold their old tradition," he went on. "But they are trying too hard to copy Western tradition." He said that the Koreans should try to attract foreigners to these events to show their traditional culture. Indeed, to Prof. Charlic and to his family Chuseok holidays and the festival must have been a joyful event. "It is a great time for me to be here," he added. "I spend Chuseok holidays with my family members and my girlfriend." Foreigners, particularly migrant workers started gathering in Ansan's Wongok-dong in early 1980s. Now, about 60,000 mostly foreign workers from 56 countries are living in and around Wongok-dong area. Various foreign restaurants and alien markets there are attracting not only foreign workers but also local Koreans. 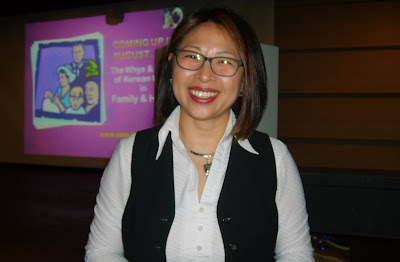 A Cross Cultural Specialist and Consumption Culture Professor Isabelle Min from Sung Kyun Kwan University have a lecture about “Korean Ways of Dining” at the M-Plaza in Seoul on June 9, 2011. The program is organized by Seoul Global Culture and Tourism Center, a branch organization of the Seoul Metropolitan Government and Seoul Tourism Organization. This year they are going to present a series of six lectures on topics such as, Korean lifestyles, shopping, dining, family and home, transportation, ‘at work’ and socializing. The purpose is for the international citizens in Seoul to understand Korean culture and to share their opinions in order to adapt to Korean society during their stay in the country. Professor Min said, “Culture is like the air; it’s invisible but always present. It’s a feeling. More than one person practicing an attitude becomes a culture; and the culture shifts a little, bit by bit,” she explained. Culture mainly comes from a need for survival within a certain setting or environment, she pointed out. “Actually, Korea is a farming society and there are four distinct seasons on the peninsula. Koreans believe that because of these seasons, they are a faster culture. They cannot be as flexible as people in tropical regions,” she said. People here had to store food for winter, through fermentation (in Korean language “Jang”), such as the world famous, Kimchi. Professor Min said enthusiastically that Koreans’ secret of taste is found in the blends of all courses of rice, soup, and side dishes. The outcome is fantastically delicious! 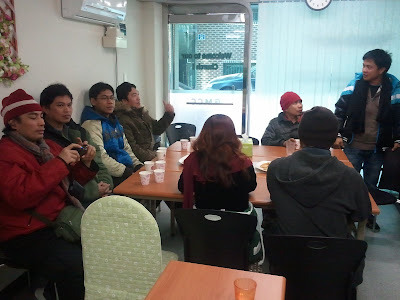 Koreans eat in groups, and the youngest or the lowest person should sit closest to the door. A noble person has a single table for his own food. Years ago, Korean restaurant owners didn’t allowed individual customers to eat alone, Professor Min said, as group eating was their tradition. They shared food with each other. It is important to remember that only after the elder picks up his spoon, the rest of the people at the table can begin to eat. Korean kings started using steel chopsticks and spoons to avoid any poisons. The steel spoon is to pick up food, only for rice and soup; and Koreans don’t want to pick up a bowl to their mouth. There is a saying that they are not beggars, so they won't bow down their heads during eating. Steel utensils are also good for hygiene. There is also ‘drinking culture,’ the secret of which is for good relationship building and a chance to open up and share concerns. But Professor Min is a skeptic, for nowadays drinking too much might mislead people into too much pleasure and alcohol addiction. In fact, many physicians keep reporting that drinking is hazardous for health. Korea was liberated from Japanese rule in 1945, and until 1986, ordinary citizens were not allowed to travel abroad. In 1990 crisis, the highest restriction to travel abroad was imposed. In just a short time, Korea went from being a developing country to a developed country. Therefore, there is a significant mind set and generation gap between old and young generations. Through industrialization and a capitalist system, the Korean people do everything fast, nowadays. This ‘pail pali’ culture has also increased fast food consumption. Furthermore, there is an increase in the singles culture. Additionally, according to Professor Min’s Research, Korean people don’t save 50% of their money for food. Rather they save more than 65% of money for shopping and tasty eating out in the market. Their most favorite in the dine out are BBQ (beef, pork and soju drinking). Professor Min asks journalists and the media to promote a good culture for the people. Certain unhealthy behaviors might be practiced by the majority; there is a need for education. Apart from her work as a professor at Sung Kyun Kwan University, Professor Isabelle Min is a founder and CEO of TCK Institute. She and her husband live in Seoul. A local Korean film Producer and activist Lee Sang Wook met with the Global Digest and shared his experience and vision. He used to work at Sarangbang NGO, where people lost their jobs, and has protested for Labor rights. During 2008-2010, he made a documentary film about the Sangyoung strike in Pyeongtaek city. The documentary focused on the automobile company employees striking over job losses. Related to this strike, he also produced a popular documentary film called “the world raised by you and me.” It is his most popular film. He spent 3 months making this documentary film. However, the film was able to be released in only 2 theatres due to restrictions put in place by the authorities. The film describes how the protesters were tortured and oppressed by the authorities who deprived them of food, water and electricity during the protests. Even the sick protesters were not allowed to get a doctor and the end result was that 15 protesters died. Another of his documentary films was about the Kiryung electronic company protest in which female employees protested for 6 years including a 96 day hunger strike. Furthermore, he has supported those individuals who have faced oppression, e.g. the Duribang case concerning the story of a Korean noodle restaurant owner whose land was forcibly demolished by a giant company. The victim in the case used different art forms to protest every day including poems and movies. He told the Global Digest that Korean implementation of human rights is very weak. For this reason he is expending a great deal of effort to establish a good Human Rights center and for which he is raising funds with the target of a million USD. So far they have already raised 110 thousand USD. He said the center will also continually focus on migrants’ human rights violations. Mr. Lee has no more confidence in the government since their reduction of human rights programs and their budgets. He felt Human Rights were doing better during President Kim Dae Jung’s time in office in 1997 and his successor the President Roh Moo Hyun. He expressed that human rights is very important in Korea. At the moment he is ready to release his animation film, known as Green Day, this coming June. It took almost 11 years to complete, he claimed. In the future he has several films in production, Newton Culture Party, expected to be released this coming October, and Sun Shine, an action movie. Mr. Lee has experience in producing film for 12 years. He has produced 3 feature length films and more than 10 medium and short length films. Producing films has actually been his hobby since 1999. He produces movies and raises funds every year for human rights activities, social movement and the homeless and a step guarantee (funds to produce the next film). He does not really expect to make a profit and even gives up the copy rights. Under these circumstances it is not easy for a small independent social film producer to compete with giant film companies, Mr. Lee lamented. Unfortunately people continue to mostly follow the giant film companies. Mr. Lee was also a student activist in 1992 at the Kangwon University where he graduated with a BA in Anthropology. Members of Seoul Global Study Group (SG2) visited the country-side, Northeast of Seoul (Namyangju), on a trip to Paldang Organic farm village and to the Paldang Slow Food Center on May 14, 2011. Paldang, where the two rivers of the Han meet, is South Korea’s main organic farming village, because this area of the Han is the source of the drinking water for the more than 20 million Seoul citizens. Industry is prohibited from the area, where organic farms thrive amidst the riverine system. The host Mr. Byungsoo Kim explained that slow food means good food. The idea of “slow” refers to the speed of human living, in-order to develop society away from the fast and busy daily life, or capitalism’s life style. He lamented that Korean grain products are only approximately 1% of the total grain consumed. The statistic shows that organic farming is less significant and not reliable because Korea depends heavily on imported foods. In the absence of local, organic farms, fresh food and vegetables cannot be obtained. And, imports take days or weeks. Actually, there are virtually no more fresh foods. Many foods are not natural, containing artificial products, he explained. Further, imports have forced the reduction of the prices of domestic foods and vegetables. Thus, people believe that farming is easy without much effort, and buying food is also effortless. Those easily obtainable fast foods are also known as junk foods. Traditionally, the Korean people relied heavily upon vegetables, including dozens of wild edible greens (grown in fields and on mountains), assortments of mushrooms, seaweeds, etc. But this culture has disappeared, nowadays. Naturally, the Korean people are concerned about health and well-being through a good diet. Usually, the traditional foods were made with all-natural ingredients within season, and they were developed to enhance and create harmony in flavors. Traditional foods were also recognized for their contribution to great health!. The idea of the Slow Food Movement has already started in Europe and America. In Korea, Paldang “Organic Slowfood” educates and trains, exhibits and shows hands-on experience for people, including from the professional level to the children’s level. Mr. Kim Byeong Su is CEO of Slow Food Paldang, and has been active in Korean agriculture and democracy for decades. Korean Spirit & Culture (KSC) is a private organization, promoting Korean culture to the international community amidst the dispute of territory over the islets of Dokdo between Korean and Japan. Korea wants to identify its culture along with its two powerful neighbors in Fareast Asia, China and Japan. Hyekyung Song, the president of KSC told the Global Digest that the KSC was started in 2006 in the US. Later, it spread out to England, German and France. The reason KSC started in the US was, because the US is a place which a represents global society; it's a multicultural place. Later the KSC's headquarters moved to S. Korea. It has approximately 150 members including professors, housewives and other ordinary people. According to Mrs. Song, our cultural art is the Korean way and the right way; and that is the real story of it. The significance and the uniqueness of Korea is found in its natural environment and in its cultural developments, such as the shape and architecture of buildings, palaces, houses and gardens. Another is the development of the Korean flag as a historical symbol. In the field of literature, Korea already had an advanced printing system before any other nation, Mrs. Song said. Later, King Sejeong initiated the writing system of Hangul, developed at what is today, Sungkyunkwan University, which could be used by all Koreans, especially commoners. Today, linguists consider the Korean characters of Hangul as likely a highly scientific writing form. In the Korean system “In” and “Yang” are important for balancing, she said. Another attribute is that Korea has never invaded any other country, even when Korea was most powerful, during the 7th or 8th centuries under a unified Shila Dynasty, and during the 14th and 15th centuries during the Sejeong dynasty. Moreover, the Korean tradition has a continuous stretch back into the past, existing and maintaining traditions such as respecting the elderly since about thousands years ago; before the Confucian system, said Mrs. Song. It is true, usually, Koreans relied on others. Further, she said the rationale of the Korean people can be known in that the Korean people believe, due to their excellent Korean spirit, the nation has risen from the poorest country to one of the richest countries in the world. 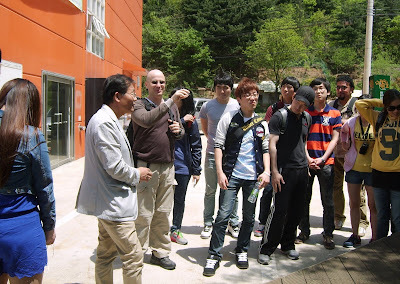 KSC provides various cultural programs and cultural games for foreigners in Seoul. Overall, the KSC has sent out its publications to five universities, 6000 schools, including more than 20 videos, to the US alone. They KSC leadership will continue to promote Korean culture in other countries as well. Before her work as KSC president, Mrs. Hyekyung Song worked as a volunteer at the Olympic game. She graduated with a BA in Music from Hanyang University. She has two sons. If you are interested in Korean cultural events such as lectures, contact Hyekyung Song: 011-392-1586. There is a minimum number of five students to initiate a lesson or lecture. Senior people have found a paradise and home at the Dongsan Church. Ansan Dongsan church is one of the largest churches in Korea. It has approximately 16,000 prayer members and is symbolic of the savior of Jesus Christ. There is a rising senior population on the Korean peninsula and many senior people have found the church to be a refuge center, as the wider society sometimes seems upsetting. Currently there are 1000 Korean seniors are at the Senior Welfare Center, said Mr. Cheolhyeon Lee. All those above the age of 60 are eligible for admittance to the center. They are also planning to admit senior foreigners in the future. A former public officer, Mr. Cheolhyeon Lee, 65, is serving as a Director of the Senior Welfare Center. He became an Ansan resident in 1980. He served as the Chief Officer of Social Welfare and the department head of Environment at Ansan Metropolitan City from 1980 to 2006; and also he served as a Congressman Assistance for the National Assembly members. He graduated with a Master’s degree in general administration from Hayang University and a Doctoral degree from Kyeongwon University. His native hometown is actually in Gwangju, Jeollanam-do Province, in the southern part of Korea. During his free time, he climbs mountains, reads and exercises. He is also an honorary president of Global Friendship Club. Apart from the Senior Welfare Center, the Dongsan church has the Dongsan Christian High School; it is very popular in Ansan and the surrounding area. In this year, its graduate high school students were admitted to prominent universities, among them, 34 students were admitted to Seoul National University and a good number of students were admitted in other universities such as Chungang University, Korea University and Handong University. A Korean Traditional Music Performance the title called “Korean Fantasy” was held at the National Theater of Korea, Seoul, on March 24, 2011. Eight Different kinds of dances were presented during the showed; those were Jundo Ganggansullae (Women’s circle dance), Love Song, Dongnae Hackchum (Crane Dance), Feast of gisaeng (female entertainer), Usawhachum, Buchechum (Fan Dance), Sogochum and Prayer dances. A Korean pair performed Love Song dance, which is the story of Chunhyang, the most beloved story of Koreans, tells the tale of two young lovers who overcome the wall of class difference, and illustrate the beauty of their love on the stage. The National Dance Company presented this performances. It is the largest Korean tradition dance company in the South Korea and many professional dancers are represented. Their professional performances available every week, and the admission fees is KRW 30,000. The Itaewon-Hannam Global Village Center occasionally offered free tickets. For further information and the next event, contact 02)2199-8884~5. Do you think Diabetes is a minor issue? Korean Diabetes Association leader Dr. Kim Jae Hyeon doesn’t think so. The Korean Diabetes Association (KDA) was started over 50 years ago, right after the end of Japanese colonization of Korea in 1945. Today, its founding members are in their 80s and 90s. They were trained under the Japanese education system in the old methods. In current times, the KDA has drastically changed, where the new generations are educated in modern education through European and US influence. Similar to other countries, the purpose of the KDA is to cure, prevent and protect, and manage diabetes, as well as, to develop related academic programs. In the case of the American Diabetes Association, it leads the global fight against the deadly consequences of diabetes. KDA members are specialists, doctors, and nurses. The organization has approximately 10,000 members. In addition, diabetics have a separate organization and similarly they have approximately 10,000 members. Diabetes symptoms come from the consequences of eating because of the underlying metabolic problems. Where the stability of the blood glucose level changes, other serious complications arise in the body, Dr. Jae Hyeon Kim explained. Either increasing or decreasing glucose and insulin levels will occur in diabetes. Insulin is a protein produced in the pancreas which decreases blood glucose and the endocrine system is the main component of diabetes, which causes serious eye, kidney and blood circulation problems. Most of the cases of diabetes in western countries come from overeating and the lack of exercise. Usually, fat persons are found to have diabetes. The latest figures in Korea show that 50% of diabetics are fat and the numbers are likely to increase in the future. The other 50% are lean, but have abnormal body weight, lack of exercise, genetic problems, and there are environmental factors such as toxin in foods, agricultural chemicals, and parathions. There are approximately 6 million diabetes patients in Korea; among them, 600,000 use insulin and 400,000 cases are the autoimmune type. Interestingly, infants can also get diabetes because of an autoimmune imbalance (within the body) and occupy around 10% of the cases in Korea. Whereas western people develop large amounts of insulin, Asian people develop smaller amounts of insulin, and in the case of Africans, they develop diabetes because of lack of food. In Korea, diabetes patients were looked down upon and were not thought of as ordinary people, compared to western countries where diabetes patients have been treated well and there has been much concern for them as patients. Unfortunately, in Korea, there was a tendency to see diabetes patients as lazy, and people did not want to mingle with them. Moreover, diabetes patients were not allowed to join the military services in Korea. As a consequence, they could not get a job. There was a specific policy that whomever did not serve in the military, could not get a job in Korea. Apart from that issue, any other jobs from other companies were scarce as well. The society totally neglected them on the grounds of their diabetes, subsequently they were not able to lead normal lives, Dr. Jae lamented. Even cancer and HIV patients have received support from the Korean Government such as free medicines, but diabetics received nothing in the past. Society is changing for the better. It is important to know that it is not dangerous to be in a relationship with, and mingle with diabetics, such as talking, shaking hands, and any communication. Also, have a sexual relationship cannot transmit diabetes, said Dr Jae. Diabetics can live the same as ordinary people. The KDA has approximately 100 central committee members. It has 10 departments and each department has 10 subcommittee members, as well as regional level committees, nationwide. Dr. Jae Hyeon Kim is Vice-Secretary General of the Central Committee of the Korean Diabetes Association. He graduated in medical science in 1995 with a government scholarship, spent four years in internal medicine until 2000, and received an MD/PhD in endocrinology in 2005 and 2007, respectively, from Seoul National University. Currently, he is serving as Associate Professor at Sungkyunkwan University School of Medicine. He has two daughters. On the last day of December 2010, everyone is very excited for the coming of a new year and each of them also preparing some foods to share with their loved ones and friends as well before the year ends. The foreign workers in South Korea who stayed in Ansan City joining together in a worship in the New Year's Eve while awaiting of the New Year at about 12: 00 midnight. Every Foreign Community in different Cities in South Korea is doing this preparation as they welcome the coming of a new year as everyone wishes to have a wonderful and lucky New year. Each of them has his own New Years Resolution to do so, it will be better to each of them to be successful this year and to avoid unlucky things happened in the past year. For instance one foreigner says; "he will avoid to drink much alcoholic beverages," one says; "he will be a good and friendly person this year". Celebrating New Year in a foreign country like South Korea is different from a home country because it has different way of tradition such as for example in the Philippines, Fireworks are used to show to the world that the end of the past year has ended while the new year is coming and noisy things like firecrackers will be displayed to prevent bad things to come into one's life, so this belief has been practiced of many people in the Philippine. In Korea, no fireworks used in this kind of Lunar New Year as people also know that South Korea has its own preparation on another new year on this coming February 2011. Finally, the coming of a New Year makes people aware to do their best way in order to make them successful and happy with their career paths. As other people are trying to work harder to make this new year more prosperous and memorable.The most important thing to do is that in everything we do "commit to the Lord whatever you do and your plans will succeed" Prov. 16:3. We always remember that all of lucks in our lives came from Him even our power and strength came from Him as well, so let's us start our New Year's day with Him thus, it will be more effective if we put the Lord in our life. Happy New Year to everyone and God speed! Multicultural family Service Center in Ansan City celebrated its Christmas party at Ansan Migrant Center located at 3rd floor on December 25, 2010. The program started at 4pm with the musical performances of guest and professional singers . Many migrant people participated the annual event which gave everyone the chance to join and made fun with one another. At around 6:00 pm in the evening dinner was served at the center itself and visitors came in the center were approximately 150 persons more than what expected. Everyone participated in the parlor games with many surprising fun and recreation. People from different countries really enjoyed the games, fun and the program as well. The Multicultural family center was full of visitors from different nations like Chinese, Thai, Filipinos, African people, Myanmar people,and Koreans as well and many others. Although, the cafeteria did not accommodate such many visitors but other rooms were used to accommodate visitors to dine in comfortably. Finally, we can observe that the management and staff of Multicultural Family Service Center and SDA Migrant Center really worked hard to make this Christmas Party successful and memorable. Making people happy during Christmas season is one of the missions of SDA Migrant center to commemorate the Birth of "Christ the King" and remembering Jesus to peoples' hearts and minds. May this event will be held again and again not only to make a party celebration but to bring unity, peace and love to everyone from different nations with different people and we congratulate the people who made this event possible. May God bless all the people who believe in Him.